Providing you the best range of hair growth peptide with effective & timely delivery. Our organization holds expertise in offering Hair growth Peptide, which is procured from the most trusted vendors of the industry. 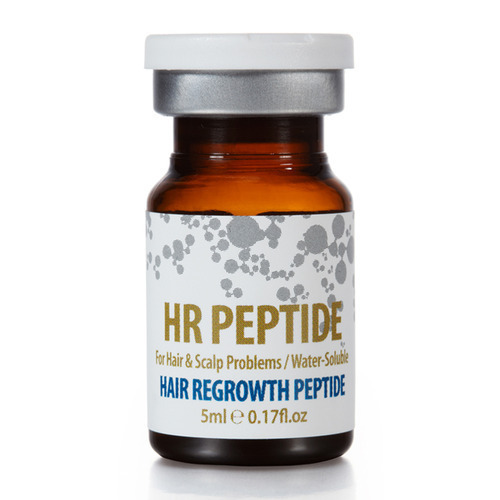 Hair growth Peptide is the functional ampule which strengthens the keratin tissue of hair as it can deliver the vitamins and amino-acids essential for hair growth up to the root of hair and takes care of ongoing hair loss as well as the hair loss in the 1st stage by facilitating blood circulation. The product nourishes the pores of hair with Lactobacillus/Soybean Extract Ferment, Deca Peptide-II(sequence : GPIGS), Copper Tri-peptide and Vitamin B3. It keeps the hair healthy as it quickens the growth period of normal hairs. It is helpful for maintaining clean scalp and strong nice hair all the time. It contains various kinds of nutrients which produces various growth factors.It activates dermal papilla cells and hair matrix cells. Looking for “Hair Growth Peptide”?